This is a special edition in the series where in the author has demystified Real Estate (Regulation and Development) Act and Rules. The author has discussed the provisions, section by section with its comments. Both the Act and Rules have been provided along with latest releases by the Ministry of Housing And Urban Alleviation, draft agreement for sale and all the relevant forms. It comprehensively covers Accounting, Tax, legal and Regulatory aspects in Real estate and Construction Industry. 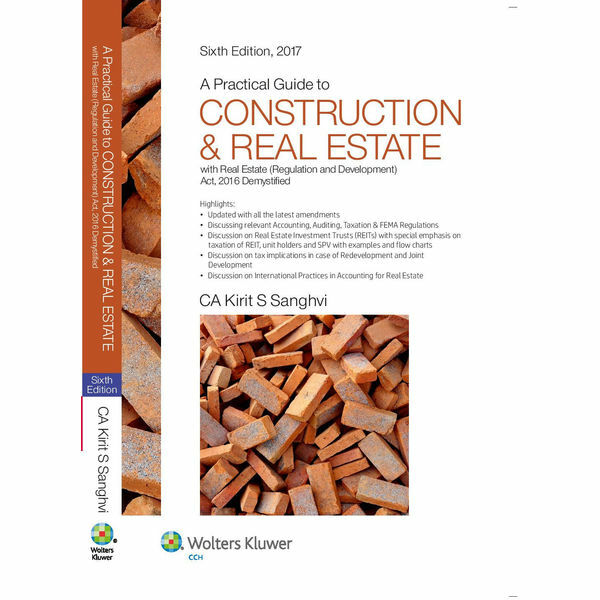 It is a practical guide for all the major issues, catering from Accounting, Direct and Indirect tax, International Practices and FEMA Regulations, associated with Real estate and Construction. It has been duly updated with the legislation amendments.